The city of Mena in the state of Arkansas, as well as the surrounding region, is perhaps known best for offering many different types of outdoor activities. The city, however, is home to several very unique attractions as well, ones that set Mena apart from other cities for visitors. From the many breathtaking views and trails to restaurants and shops to history museums to a restored historic train station, Mena has much to offer for visitors and local residents alike. The Queen Wilhelmina State Park can be found on top of Rich Mountain, the second highest mountain peak in Arkansas. The park provides visitors with some of the state’s most awe-inspiring views from its lodge. The original lodge, which is now fully renovated, was constructed back in the late 1800’s, and named Wilhelmina Inn after the Netherlands’ Queen. The main attraction at the park is the latest inn, which is the park lodge of today. The Queen’s Restaurant serves Southern fare with first-class hospitality. Queen Wilhelmina State Park features forty-one campsites, as well as hiking trails and picnic area. The Wolf Pen Gap Trail in Mena, Arkansas consists of a trail network spanning a total of forty-one miles. The expansive network of trails was developed and is maintained for off-road vehicles and mountain bikes. The trail is a combination of short sections of constructed single-track, abandoned double-tracks, and gravel road. The Wolf Pen Gap Trail ranges in difficulty from easy trails to extreme. Visitors can take a break and find panoramic views while traveling along the trail. The trail network can be found approximately twelve miles away from Mena to the northeast, just past the Caney Creek Wilderness. 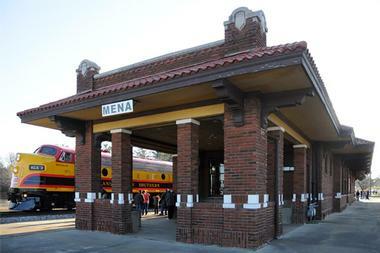 The Mena Kansas City Southern Depot in the city of Mena is a railroad station constructed back in the year 1920. Located on Sherwood in the heart of the city, the single-story long building was built using brick, and features a Mediterranean style and a roof made out of tile. The Mena Kansas City Southern Depot is one of the state’s most elaborate surviving railroad stations from the early twentieth century, and is noted on the National Register of Historic Places. The station is now the home of a museum dedicated to local history, as well as the Mena Chamber of Commerce. The Board Camp Crystal Mine in Mena is open to the public every day, with the exception of being closed typically from the beginning of January through the middle of February. Visitors can join one of the UnXplained Tours and explore the Crystal Mine, dig for crystals, and even stay at the “Crystal Cottage.” Guests can take an UnXplained tour either during the day or at night. Day tours are offered most days of the week, with the exceptions of Tuesdays and Wednesdays. Guests must be at least twelve years old to join the tour, and tours typically last around two hours. Janssen Park is located in the heart of Mena, and is one of the city’s municipal parks. The park is bordered by Port Arthur Avenue and Janssen Avenues, as well as 7th Street and 9th Street. Janssen Park is an expansive, grassy space featuring mature trees, and walking paths that radiate out from a central walkway that circles the oldest building in the city, a Shelton log cabin dating back to the 1850’s. In the southern area of the park, visitors will find two ponds, and a clock tower is situated inside of the circle near the old cabin. The Mena Art Gallery supports community and individual involvements in creative mediums of art, and strives to serve and inspire artists of any age. The gallery offers art exhibits, art shows, art classes, field trips, seminars, workshops, and more. Art shows are hosted often throughout the year, several of which open entries to anyone. Run by the Southwest Artists organization, a local non-profit that has devoted itself to the promotion of the arts in the city since 1945, the Mena Art Gallery is open on Tuesdays from 11:00am to 2:00pm and Wednesdays through Saturdays from 10:00am to 3:00pm. 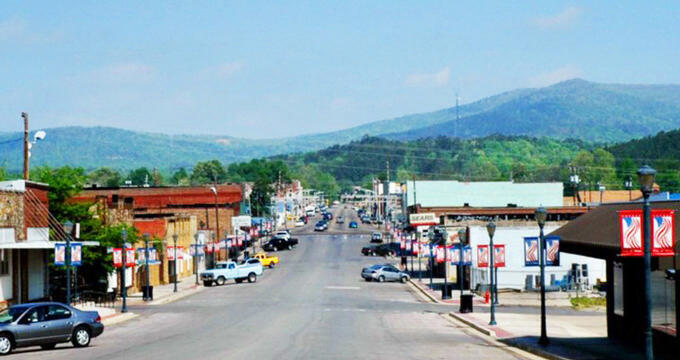 The Mercantile in Mena, Arkansas first opened to the community on June 1 of 2015. The market consists of thirty different booths that together offer a wide variety of items for virtually anyone. The General Store area of The Mercantile provides a broad array of both antique and new items, such as tin signs, souvenirs, shirts, candles, local artisan soaps, and old-fashioned candy. When visitors walk through the front doors, they will most likely feel as if they stepped back into the past, with the market offering repurposed and handcrafted items, collectibles, and antiques. The Mercantile is closed on Wednesdays. The Wolfpen ATV Campground is the largest and first of the Wolfpen campgrounds to open in the area, making this campground truly an “original.” The campground gets its name from the World-Famous Wolf Pen Gap ATV Trails located near the city of Mena, and it provides an authentic outdoor experience of Arkansas.Wolfpen ATV Campground offers a range of camping options, from basic tent sites for anyone who likes “roughing it” to cottages fully-furnished with bathrooms, kitchens, heat, air conditioning, and satellite television. There are also full RV sites with hook-ups and rustic camping cabins as other options for camping. The Arkansas River Valley Visitor Center provides information about Lake Dardanelle and the surrounding Arkansas River Valley region, including Petit Jean State Park, Mount Nebo, and Woolly Hollow. Open during the weekends, the center also offers maps and rates for the state parks in the area. The landscape of Arkansas boasts a natural beauty, including the Arkansas River Valley, which offers plenty of recreational activities for everyone. The area includes several interesting sites, museums, and outdoor activities, and visitors can find information on all of them and places beyond Mena at the Visitor Center for the Arkansas River Valley. The Renegade Ranch offers a great network of trails for four-wheel drive vehicles, motorcycles, and ATV’s. Found in the Ouachita Mountains located outside of the city of Mena, the Renegade Ranch ATV Trails encompass more than three hundred acres of open space, hills, and forest near the Ouachita River. Both RV and tent camping are offered at the Renegade Ranch, along with cabins that visitors can rent on either a weekly or nightly basis. The area is also an excellent destination for paddling excursions on the Ouachita River, including kayaking or canoeing. Guests can also enjoy opportunities for fishing. The Fourche Mountain Trail provides visitors willing to make the trek with stunning vistas of Buck Knob and Fourche Mountain. Sights found along the trail include many breathtaking views of the region’s Ouachita Mountains, an abandoned silver mine, rare plant species, rock glades, and beautiful streams at at the bottom of steep ravines. The network of trails offers ATV opportunities, mountain biking, backpacking, day hiking, and horseback riding. Guests can find parking for the day along the south side of Highway 270. Also located near the highway is the Mill Creek Recreation Area, which offers picnic, swimming, and camping activities. American Artisans, located in the city of Mena, is well known for its homemade Espresso Cookie, homemade potato chips, and its even more famous Chicken Melt. The eatery is certainly unique, and is the premier gallery and eatery in Mena. American Artisans offers an ideal atmosphere for anyone’s daily routine, as well as delicious food that can be a regular tradition. Guests can look through the gallery of handcrafted gifts while they wait for their meal to be made using fresh ingredients. Every piece of artwork at the gallery is made by artisans from the local area or other regions of America. 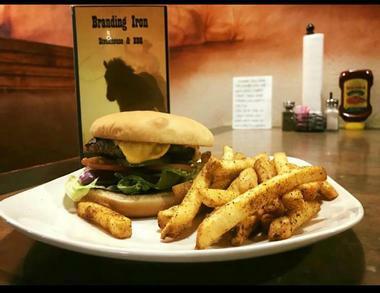 The Branding Iron BBQ and Steakhouse serves only certified Black Angus, upper choice steaks sourced from the well known Omaha Steak Company. Each steak is hand cut and then perfectly grilled, whether customers choose an aged sirloin, New York strip, or ribeye. The barbecue served at the restaurant is so tender that it simply falls off of the bone, and guests can enjoy both St. Louis style and Kansas City style half or full rack smoked ribs. Other items found on the menu include salads, sandwiches, sirloin burgers, pasta dishes, chicken dishes, shrimp, catfish, jumbo wings, and fried onion petals. Papa’s Mexican Cafe is situated in the heart of the city of Mena and serves delicious Mexican cuisine with salads, appetizers, a variety of entrees, and desserts. The family-owned and operated restaurant was opened in 1999 to the Mena community by the Sanchez family. 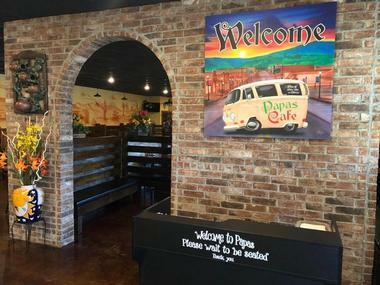 Papa’s Mexican Cafe aims to make every customer feel like a part of the family during lunch or dinner. Popular dishes of Mexican fare on the menu include enchiladas, burritos, quesadillas, and tacos, as well as several different specialty entrees and delicious desserts. The restaurant boasts that it provides fine Mexican food in a casual and fun atmosphere. The Chopping Block Steakhouse offers customers a chance to choose their own freshly hand-cut steak and dine in a true steakhouse that provides an inviting and warm atmosphere. Each steak is hand-cut and hand-seasoned before being cooked to perfection. The restaurant also offers freshly smoked barbecue and juicy, thick burgers. Visitors can take a look at the artwork of the owner by William Rainey throughout the beautiful and authentic log cabin. The steakhouse, which began as a deli and butcher shop, has been a family-owned and operated restaurant for more than forty-seven years. 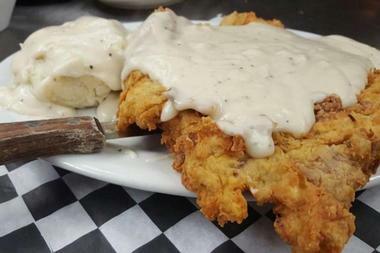 Legendary Western cuisine is what people can expect here.